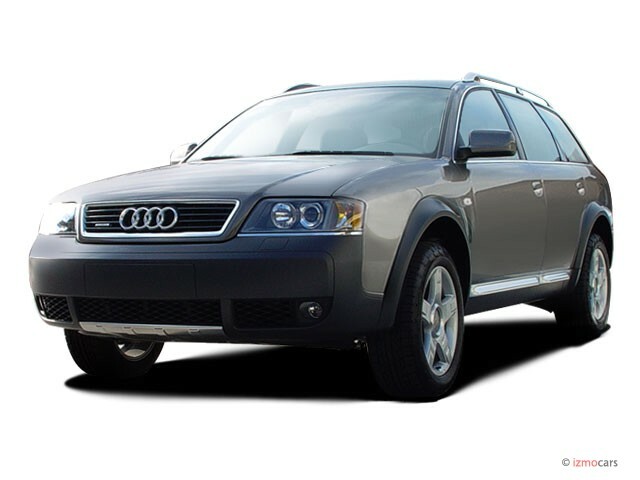 Essentially a carryover version of the A6 Avant wagon, the allroad rides a bit higher and adds flared fenders, body stiffening, and extra under-body protection to give it a more-purposeful appearance designed to appeal to SUV intenders. A four-position pneumatic ride-height adjustment is on hand to vary ground clearance all the way to 8.2 inches, and Audi's quattro all-wheel-drive system provides good roadholding and maneuverability characteristics over a wide range of road and weather conditions. While it's not technically an off-road-ready vehicle, it is comfortable, with nimble handling and good overall performance, with a dash of panache that sets it apart from conventional wagons. Standard is a 2.7-liter turbocharged V-6 engine, and a 300-horsepower V-8-equipped version was added to the allroad line last year, which makes it one of the quickest vehicles to ever drop the kids off at soccer practice. It remains in the lineup for 2005 with only minor updates.